Laser Printing Marking Machine MT-OL-F Series is a special online laser marking printer for the automatic production line, compared to the traditional inkjet printer, the fiber laser printing machine has zero consumption of any materials, no need ink, no pollution, no noise, energy saving and environmental protective. 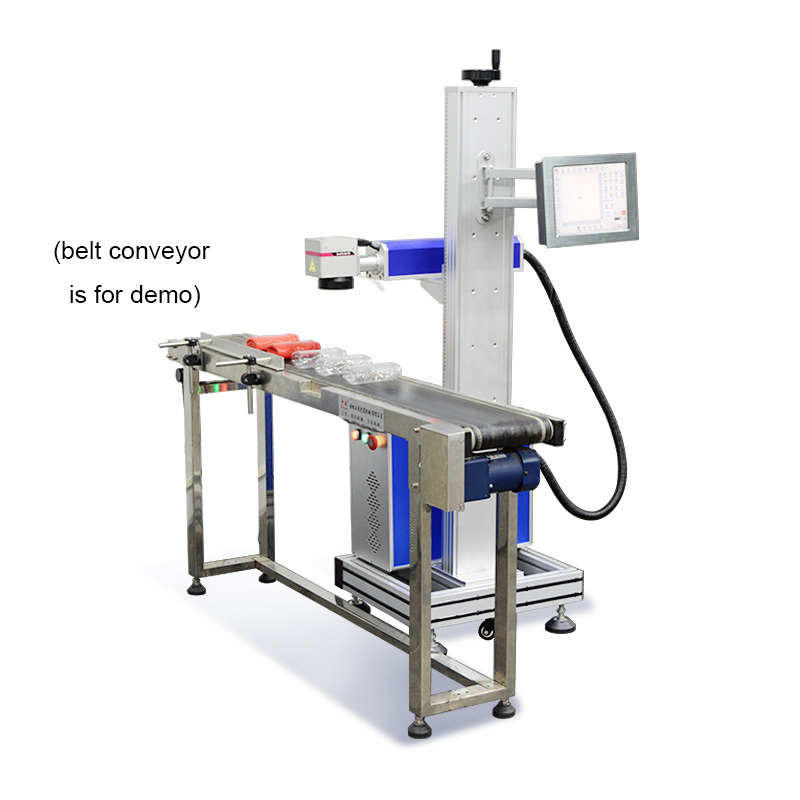 It also has the character as below: simplicity of operation, stable performance, long lifetime, low maintenance cost, etc. 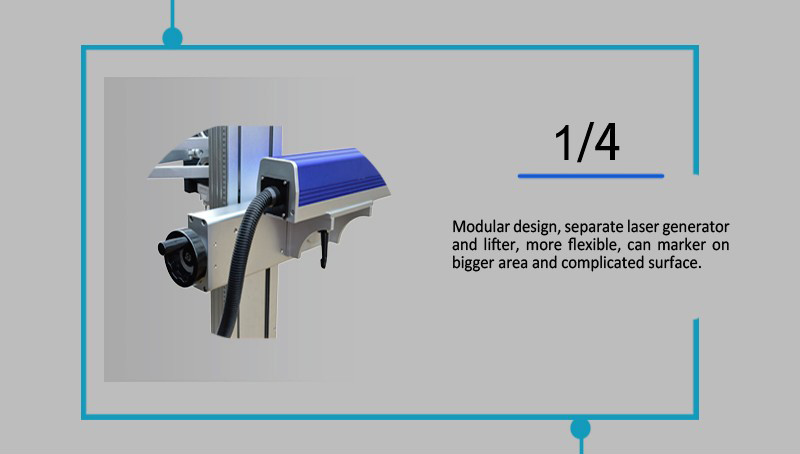 The MT-OL Series Laser Printing Machine can be equipped with different kinds of laser sources (fiber, co2, or UV) and printer system. It can be widely used in food and beverage, pharmaceutical, tobacco, leather industry. 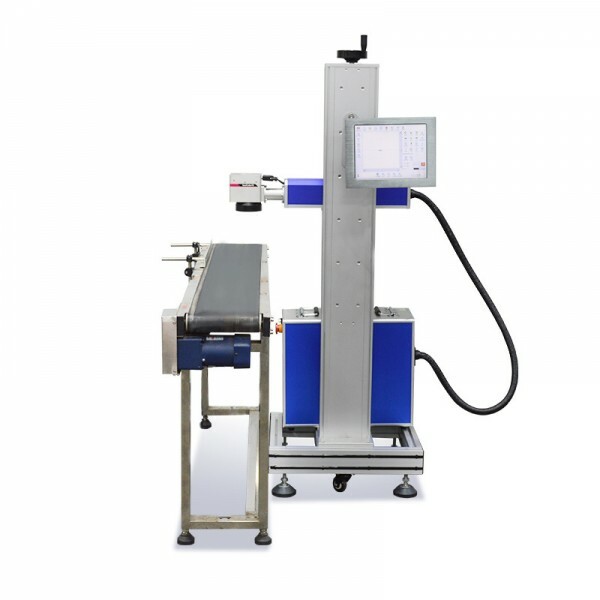 This is the fiber source laser printing machine, it could be used for metal and nonmetal online flying printing combined with various kinds of the auto or semiauto production line. 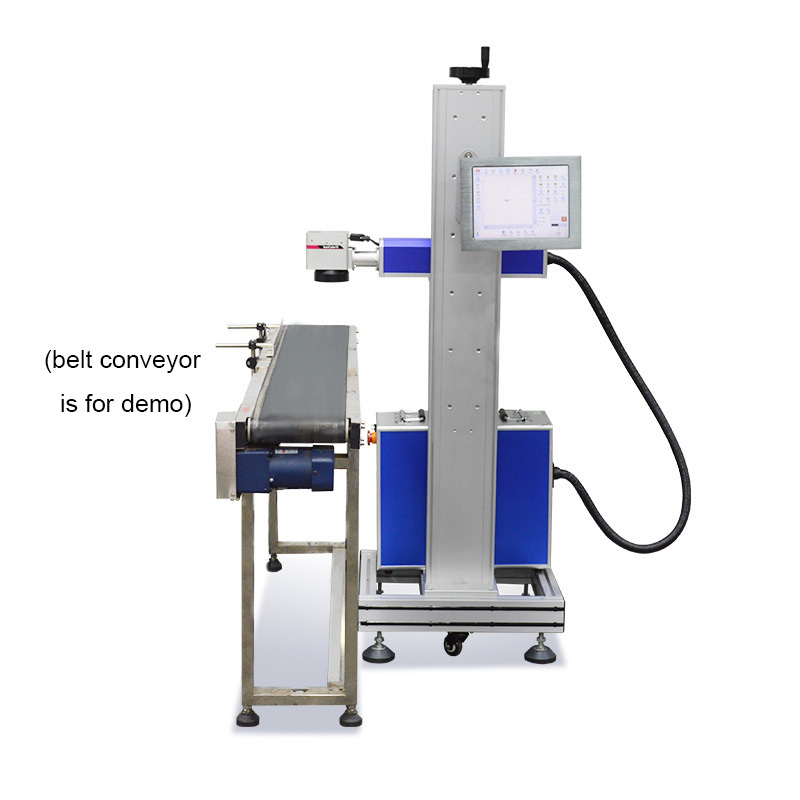 There is another co2 laser source flying online laser marking printer available especially for nonmetal materials’ online flying marking. 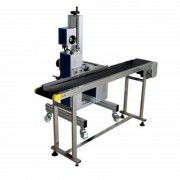 (1) Modular design, the separate laser generator, and lifter, more flexible, can mark on the bigger area and complicated surface. 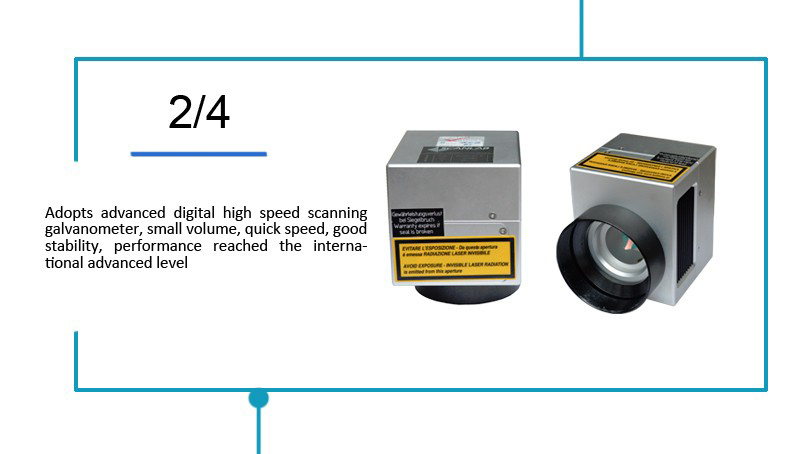 (2) Adopts advanced digital high-speed scanning galvanometer, small volume, quick speed, good stability, performance, reach the international advanced level. 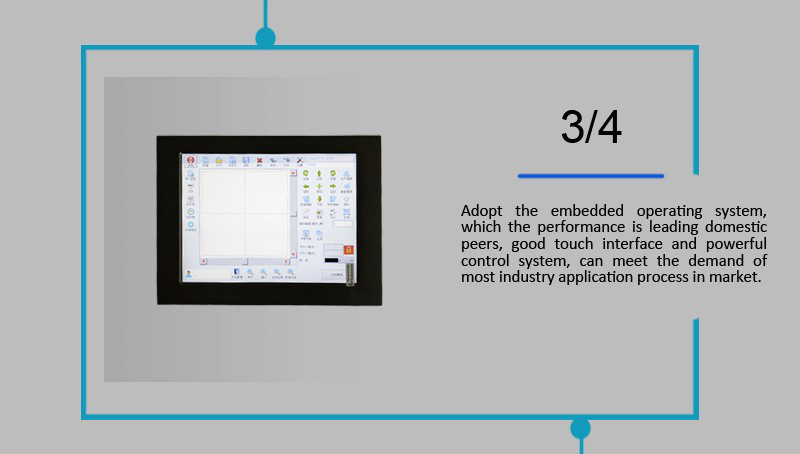 (3) Adopt the embedded laser operating software system, which the performance is leading domestic peers, good touch interface, and powerful control system, can meet the demand of most industrial laser printing application process in the market. 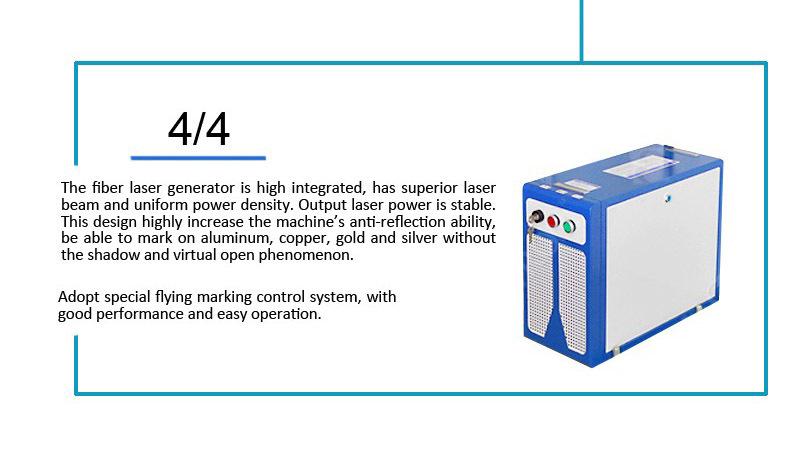 (4) The fiber laser generator is highly integrated, has a superior laser beam and uniform power density, Out Laser power is stable. This design highly increases the laser printing machine’s anti-reflection ability, be able to print & mark on aluminum, copper, gold, and silver without the shadow and virtual open phenomenon. 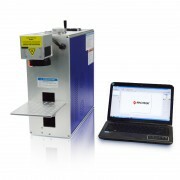 Adopt special flying/online printing marking control system, with good performance and easy operation. 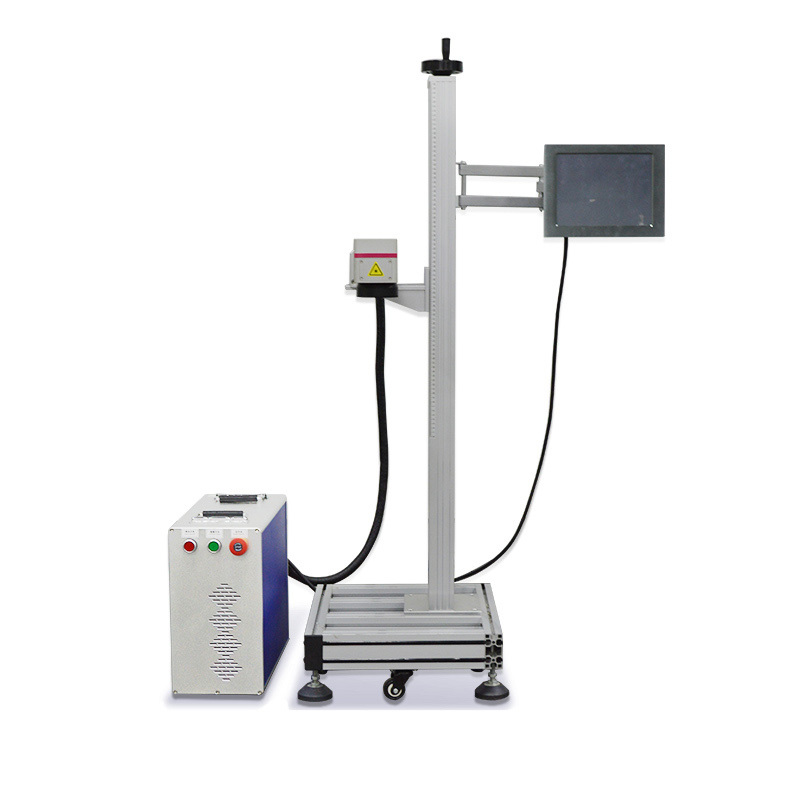 The MT-OL Series Fiber Laser Machine can be equipped with the different laser source(fiber, co2 or UV).